Melbourne’s luckiest kitten is thriving in his new home, weeks after being rescued from a daring adventure that almost cost him his life. 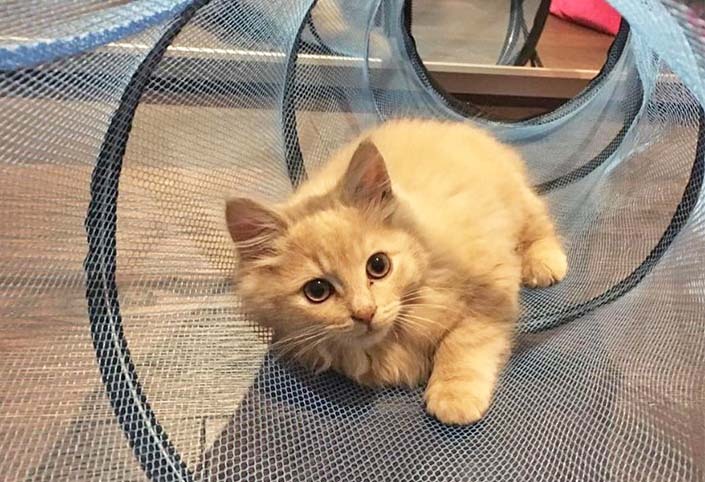 Three-month-old Burnley made headlines in June after his miraculous escape from the CityLink Burnley Tunnel. Hayden and Amanda had been talking about getting a new cat, when their conversation was interrupted by the TV. A story featured on 7 News about the miracle kitten, who was ready to find a new home – it was fate. 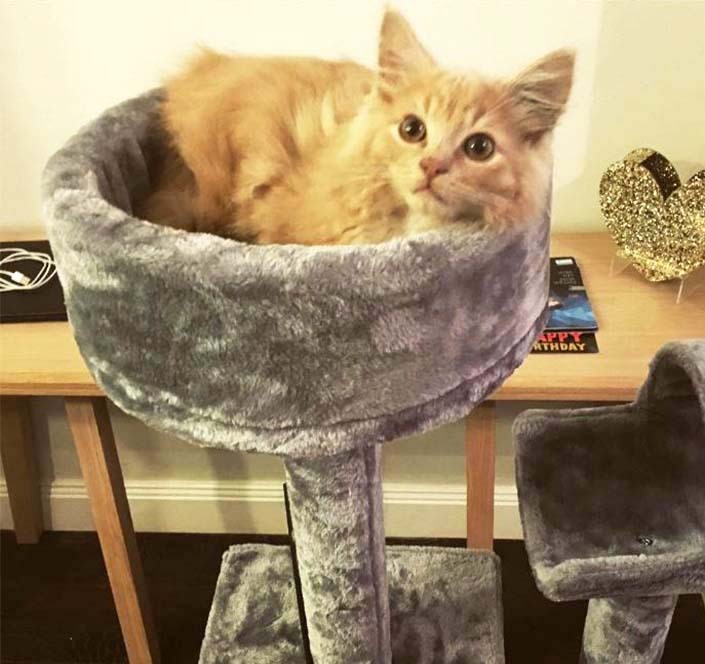 They were among the 113 people who registered their interest in adopting Burnley, and were thrilled when they received a call from the Home to let them know they’d been successful. For Burnley, everything in life is a big adventure. Moving into a new home was no exception. “Burnley immediately took over the home and made it his own,” said Hayden. “Being the little adventurer he is, obviously having made his way into the tunnel, he has continued this at home, exploring every nook and cranny, or open cupboard vigorously. We love everything about this crazy kitty, but especially his very loving nature. He always wants to be wherever we are. Following us around the house, always wanting to play or sleep on us and constantly purring. “His favourite things are eating, playing, eating then sleeping. “He also likes to carry his toys in his mouth around the house. Sometimes we come home and he has moved all his toys into a pile in another room. 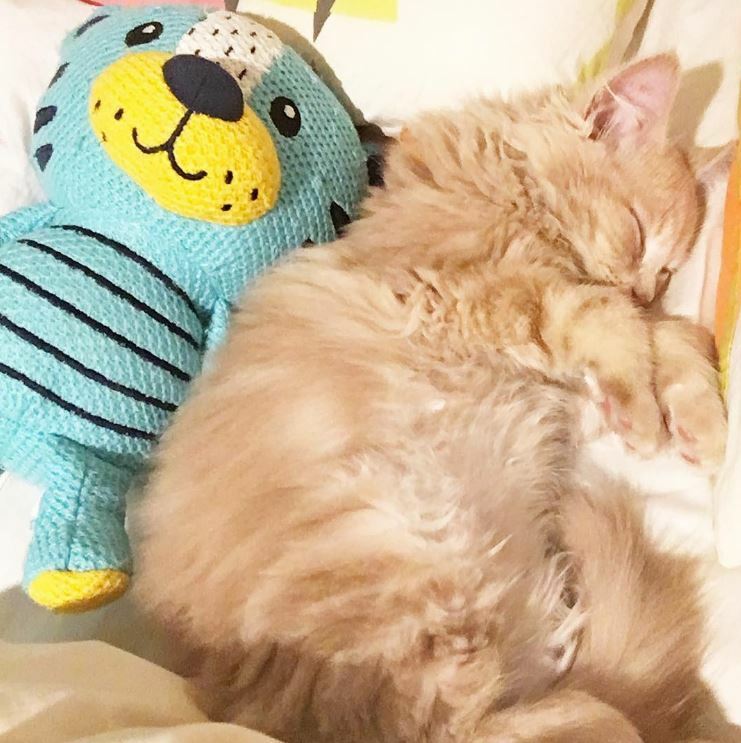 “When he is not running amok chasing his toys, he lounges with us on the couch then follows us at bedtime and sleeps on his favourite blanket at the end of our bed, purring crazily until he falls asleep. Hayden and Amanda couldn’t imagine life without Burnley. Proud pet adoption advocates, they hope Burnley’s story will inspire other people to open their hearts to a shelter pet in need of a loving new home. To stay updated on Burnley’s adventures, follow Burnley the Tunnel Cat on Instagram.